While blue dials popped up at nearly every major manufacture this year and green dials became a burgeoning trend, striking silvery gray dials proved to be one of the most compelling trends of the year. Why? The dials came in ornate finishes or unusual shapes and in a few cases, minimalist dials stood out in the crowd for their distinct vintage flair. Breguet and Omega’s pared down dials owe their handsome appeal to history—Breguet’s Classique Extra-Plate 5157 has the same decorative engine-turning design first invented by the watchmaker in the 18th century, while Omega’s new Seamaster pays tribute to the 1948 original. Other brands like De Bethune took a futuristic approach to the dial tone on its sharp looking DB27 Titan Hawk V2 with striking blue hour hands. In 2018, gray was anything but dull. This sophisticated dress watch represents the ultimate Breguet style. The highlight of the timepiece is the watchmaker’s top-notch Clous de Paris hobnail decoration—the engine-turning technique used to create the tiny grooves on the silvered gold dial. Breguet’s engine-turned dials are painstakingly created by hand using the same closely guarded 18th-century techniques used by company founder Abraham Louis Breguet. He created the first engine-tuned dial in 1786—previously the technique was only used to decorate watch cases—and it has become a hallmark of the watchmaker ever since. 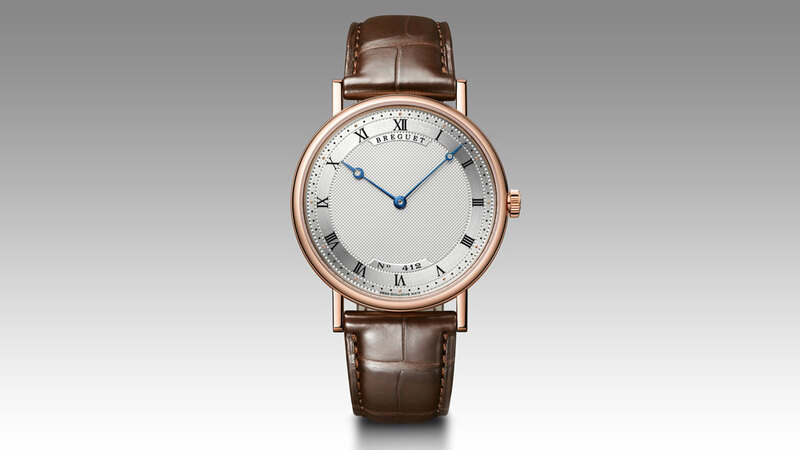 The dial is accented by roman numerals and open-tipped blued steel hands, created by Breguet in 1783 and now commonly referred to in the industry as “Breguet hands”, and is housed in an extra-thin 38 mm rose gold case. The timepiece features 45 hours of power reserve and comes on a leather alligator strap with a pin buckle. To celebrate the 70th anniversary of its Seamaster Collection, Omega created two limited-edition 1948 Seamaster small seconds timepieces (RRP AU$9,000) modeled on the handsome vintage aesthetic of the original. The opaline silvery domed dial in a stainless steel case features the exact same configuration of leaf-style hour and domed minute hands, a small seconds indicator at 6 o’clock, and Arabic numerals marking 12 o’clock, 3 o’clock, and 9 o’clock. 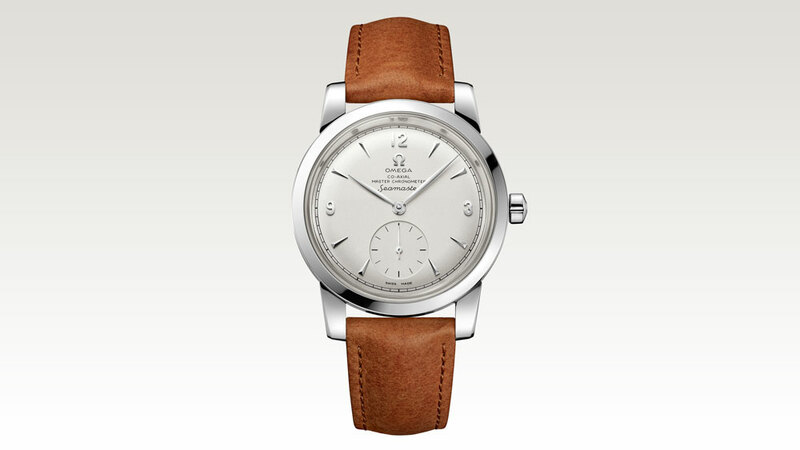 Omega even took care to use its original logo design from the era. Before it became a commercial timepiece in 1948, the Seamaster was developed with the British Ministry of Defense and used between 1940 and 1945 by the Royal Air Force and other branches. During WWII, Omega was the largest supplier of watches with 110,000 timepieces created for use in combat. Independent watchmaker De Bethune’s silver-toned dial on its sleek DB27 Titan Hawk V2 (approximately AU$59,000) is housed in a brushed grade 5 titanium case has all of the signature features of the brand including its patented floating lugs, a 12 o’clock crown, and what they call a microlight dial decoration in the middle of the case. But in this new model, the watchmaker added a new self-winding, in-house movement, the Auto V2 calibre, which houses a single barrel that ensures 60 hours of power reserve. Visible through the caseback is the movement’s titanium balance wheel with gold inserts and the titanium and tungsten alloy oscillating weight. 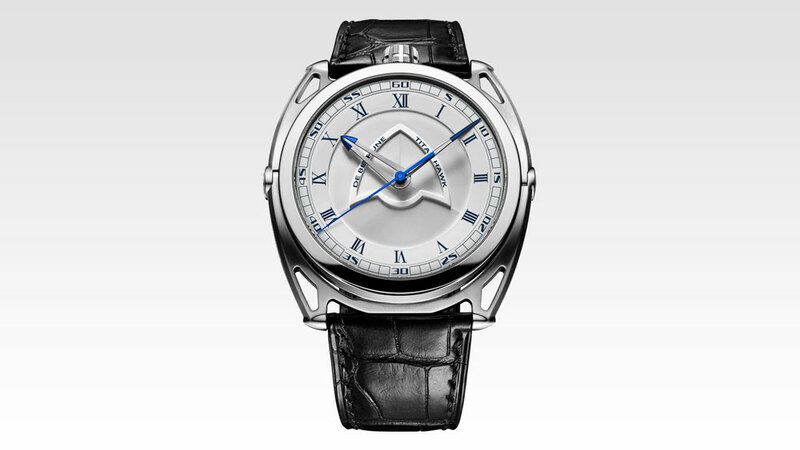 The modern dial with roman numerals is topped off with mat steel hands that have been hand-polished with flame-blue ends. A navy blue dial version is also available and features blue matte steel hands with polished ends. 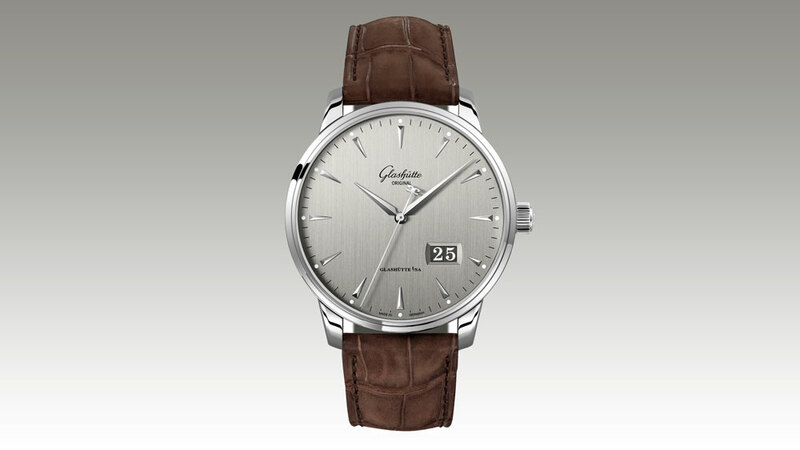 The latest addition to the Glashütte Senator Excellence collection is a Pamorama date model with a galvanized silver-gray dial with a vertically brushed finish that has a strong retro appeal. The simple three-hand Senator Excellence timepiece was first introduced by Glashütte Original in 2016 to house the watchmaker’s new caliber 36-03 movement, a big-date which achieves 100 hours of power reserve through a 68 cm single mainspring. The simplicity and rich color of this dial makes it a stand out. Mortiz Grossman’s silver dial on its Benu Lost in Space timepiece ($47,100) is actually a cambered lunar disc with a relief engraving, which surrounds a black-and-white grand feu enamel dial with a small seconds dial just beneath in black enamel. 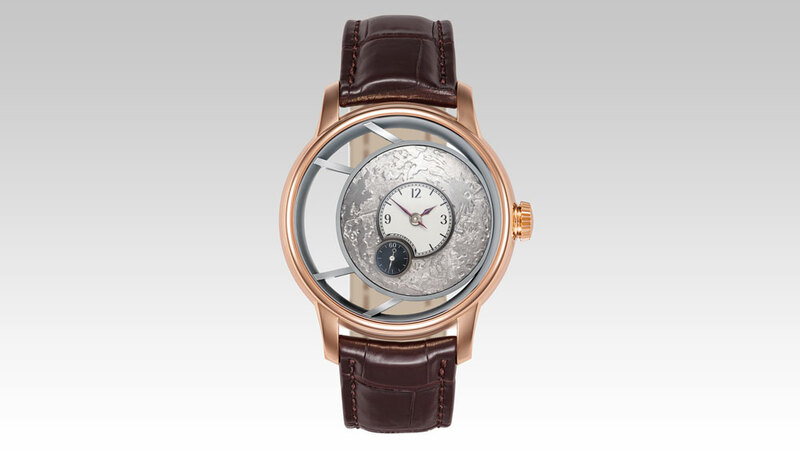 The movement sits behind the striking handcrafted dial, which resembles a moon floating off-center within the case. The holder ring, which makes contact with the rose gold case at the winding crown, attaches to the other side of the case by four architectural struts—giving the appearance that the timepiece is moving through space. The 44.5 mm watch, part of a trio of limited-edition timepieces celebrating the watchmaker’s 10th anniversary, is limited to just 26 pieces.